The Winnipeg Jets Hockey Academy (WJHA) prides itself on its impact on participants’ lives away from the hockey rink. It defines itself as a “play-based program designed to increase school attendance as well as high school graduation rates in socially and economically challenged schools in Winnipeg”. But that doesn’t mean they don’t have on ice successes too. That was exactly the case in this year’s Winnipeg Jets Challenge Cup (WJCC), a tournament that has become a holiday tradition at Bell MTS Iceplex. The 2018-19 tournament, presented by Pro hockey life, was the eighth annual and hosted multiple divisions of teams at various levels of minor hockey at the Bell MTS Iceplex from Dec. 22, 2018 to Jan. 3, 2019. Always a much anticipated and memorable tournament, this year’s event proved to be an extra special one for a group of Female Peewee players from the WJHA. The girls on the Peewee team, most of whom have been on the team for three years, have learned to play hockey during weekly WJHA on-ice sessions built into their school schedule. As their interest in the sport has grown, the girls were given the opportunity to join an extracurricular team and participate in the Challenge Cup with all costs covered by the WJHA. The three-team division that the WJHA girls played in at the Challenge Cup proved to be quite competitive. With regulation and overtime solving nothing for both of their round robin games, the WJHA girls got to experience the pressure of a shootout, not once, but twice. Player Precious Oryem, noted how great of an experience the shootouts were. The one-on-ones proved to be a little more nerve-wracking for goaltender Keyauna Robinson, but after stopping all 12 shootout shots she faced in the two round-robin games and propelling her team to victories in both tilts, she gained plenty of confidence going into the gold medal game, to which the team earned a bye. The finals didn’t require extra time though, as the team took down the opposing Stars White 4-2 in the championship game. For many of the girls, it was the first big win, and it proved to be a special achievement to celebrate together. 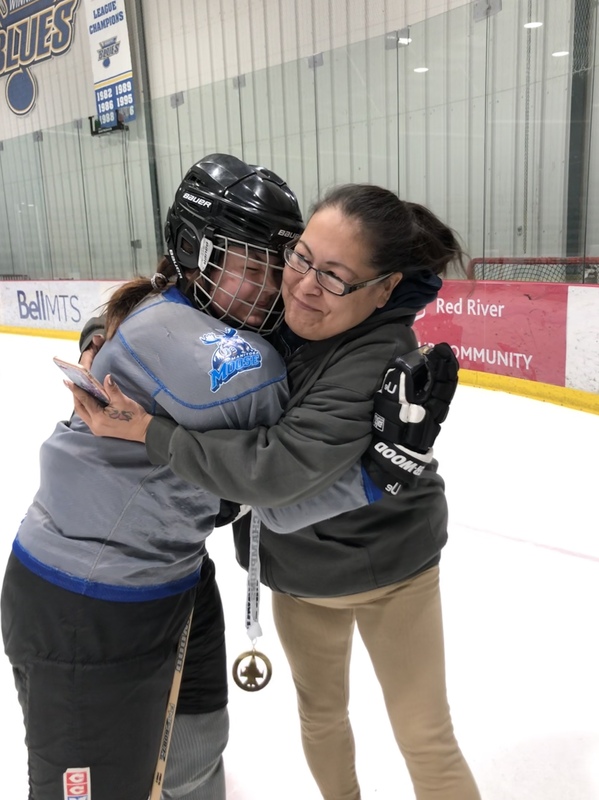 Cierra Courchene, another player from the WJHA roster could hardly contain her excitement and the awesome feeling of winning the tournament, and she already can’t wait to try to win it again next year. The players’ parents were extremely proud of the girls too. Not just for their tournament win, but for the progress they’ve made throughout the WJHA program. With the regular season wrapping up it’s everyone’s favourite time of year – the playoffs. For the teams and athletes that are still playing it is an exciting time as well as a time that can be filled with pressure and the anxiety to perform. Often times we hear that you have to be mentally strong to have success in the playoffs. You have just come off a long regular season that has taken its toll, both physically and mentally, and you have to find another gear. While this happens season after season, athletes are seldom given the tools to be mentally strong and manage stress. There are two main ideas or concepts that need to be grasped to be able to maximize your mental fortitude. Often times athletes focus on the wrong thing when trying to concentrate. The natural reaction is to focus most of their energy on just one thing. This is tough to do because there are so many stimuli and distractions during an athletic competition. What we actually want to do is be able to let everything go around what we are trying to focus on. In essence, concentration isn’t about focusing on one thing, it is about letting everything else go around that one thing so it is the only thing that remains. An example would be a goaltender concentrating on the puck. The puck is surrounded by stimuli – the crowd, the noise, the amount of time left on the clock, the situation (overtime, shootout etc.). This makes it extremely difficult to concentrate. If the goalie is able to let all the stimulus and distractions go around the puck so the only thing that remains is the puck, he or she will be much more successful. Everything in life follows this pattern right down to our basic foundation of breathing. Each breath starts, stops, then starts again. Once the breath stops it does not matter anymore. It is complete, done, over; then it starts all over again. That is the exact mental approach we want to practice and carry over to our performance in a game. Each period, each shift, each play starts, stops, and starts again. Once that play or shift or period is over – it is over; it does not matter. The next play or shift or period starts again and the cycle continues. This is the most effective way for an athlete to stay present in the moment and gives them the best chance to be successful. It is hard to perform when worrying about past mistakes. Often you hear people say you need to have a short memory in the playoffs; this is what is meant by that thought. Good or bad you have to let go and move on. Both these mental attributes are learned skills and can be worked on and developed using the same practice. Find a place to sit that is quiet to start. Sit comfortably with good posture. Close your eyes and take deep breaths through your nose. Bring your attention to your breath, especially where you feel that breath. You may feel it most coming through your nose or through your chest expanding or wherever it may be. Now the tough part: try to clear your mind. This will be extremely tough. This is the whole exercise. As soon as a thought pops into your head, acknowledge the thought and that your mind has wandered. Stop and start again. At first, it will be hard to even go two breaths without having your mind wander. That’s normal. Stay with it. You haven’t failed. Remember everything starts, stops and starts again. We are concentrating on our breath by letting everything else go around it. Spend ten minutes a day working on this and as you become better at it you will be able to use it in other situations, such as in the game. This is how the much needed mental toughness for the playoffs is built. The annual Winnipeg Jets Challenge Cup (WJCC) is always a special event for teams during the season to spend more time together and play in a tournament over the holidays. This is especially true for teams who travel to Winnipeg to participate. Traveling over 1,500 km to participate, Rankin Rock – Bantam A1 came to the Bell MTS Iceplex all the way from Rankin Inlet, Nunavut. Being from an isolated community up north, each hockey season the team fundraises to travel and compete in one large tournament. This is a great opportunity for players to play against teams from different parts of the country and give players something to look forward to and work toward. The location of the WJCC is perfect for the team, with the convenience of a direct flight from the Rankin Inlet Airport to the Winnipeg James Armstrong Richardson International Airport, as well as being a great fit for players whose goal is to pursue hockey further and will likely find themselves in Manitoba to play at the next level. Head Coach, David Clark had been to a few events in Winnipeg at the Bell MTS Iceplex including the annual Manitoba Indigenous Cultural Education Centre Tournament and the knew that Manitoba has competitive hockey programs and teams to play against. Coming into the tournament the players put in a lot of work to prepare but had realistic expectations. The team won their opening game of the tournament 4-1 over the Winterhawks White and finished the round robin with confidence going 4-0. Rankin Rock continued their winning streak shutting out the Canucks in the semi-final. The WJCC Championship Final on New Year’s Eve was a close match, tied scoreless throughout most of the game until Rankin scored with just under one minute to play in the third period and the win, 1-0. The WJCC Bantam A1 division proved to be the perfect level and event for the team who played in many close games and emerged as champions in this year’s tournament. “The kids and parents were very excited to be able to participate in your event this year. Right from the start of the registration process through to the last game, the experience was so positive. The communication leading up to the event from your team was fantastic, and much appreciated, especially with our remote location, having details so well in advance that were clear and concise was very valuable for us in our planning. Right from our arrival, our team felt very welcomed. The kids were grateful for the welcome bags, the warm reception from the officials and other teams in the tournament. The calibre of games was great and challenged our kids positively. The facility was outstanding, and for our kids to be able to play in a venue such as yours was an incredible experience, and one they will not forget. 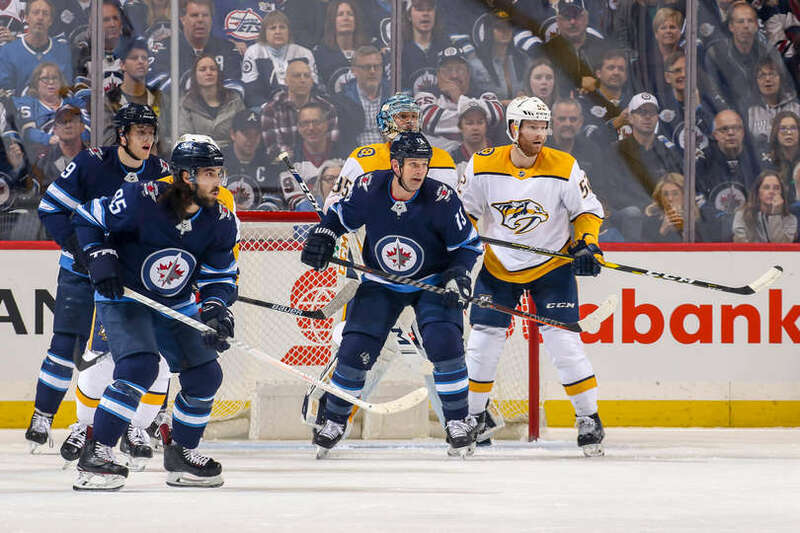 WJCC tournament organizers were thrilled to have a team register all the way from Rankin Inlet and were excited to see the team play at the training facility of the Winnipeg Jets and Manitoba Moose. As an added bonus, the team was rewarded for its tough competition with success on the scoreboard. As word spread throughout the Bell MTS Iceplex during the tournament there was a lot of encouragement from other players and fans cheering for the Rankin Rock team to succeed. “As tournament organizers that’s the purpose, or home run – to facilitate and provide a great hockey experience for the kids from all over, always.” – Dean Court. 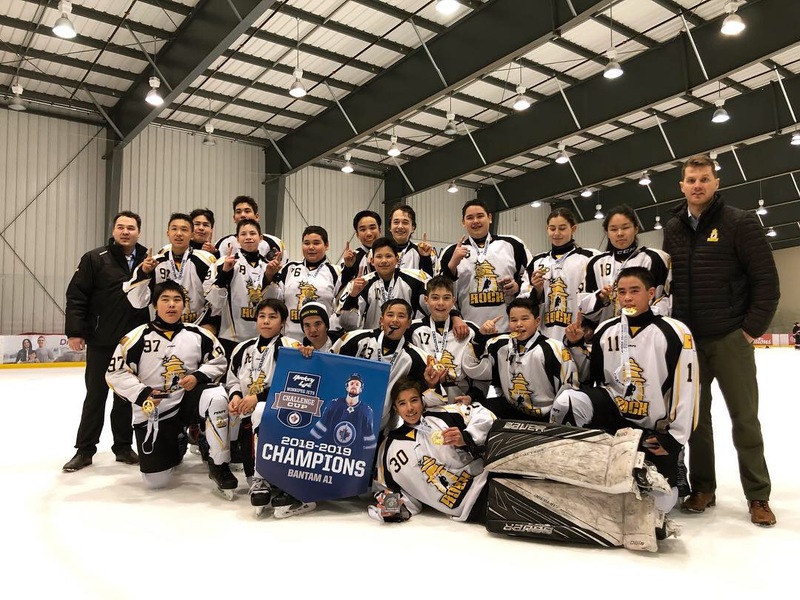 The Rankin Rock Bantam team hopes to attend the tournament once again next season to defend the title as well as Team Nunavut, with players from all over the territory, is also looking to come to Winnipeg to compete in other events held at Bell MTS Iceplex. The atmosphere is much different when players walk into a rink on a practice day rather than a gameday. Players are understandably more excited to play in a game. On a game day, there are fans watching and cheering teams on and players get excited when they score a goal or make a great play that contributes to their team’s success. Conversely, at practice, the arena is often empty and players are left to create their own excitement. Players love the competition of games and the energy it brings, but the best players can bring that level of competition and energy to practice to really push their development. A regular NHL game is 60 minutes. The best defencemen play around 25 minutes per game and the high-level forwards get around 20-23 minutes a game. The average shift length for most players is around 45 – 55 seconds. In that time they are on the ice, studies have shown the actual amount of time that the players have the puck is very minimal. Hockey USA published a study at the 2002 Salt Lake City Olympics that showed the best players only had the puck for around 60 seconds in a game. Meaning they play the game without the puck, support the puck to get it back, make quick decisions when they have it and look to make positive plays to advance the puck and not turn it over. In minor hockey, the game time is shorter and shift length is longer. Therefore, the actual amount of time a player is on the ice with effective ice time is much different. Due to the varying levels of skill and confidence, some players won’t touch the puck as much as other players. Players who are constantly throwing the puck away in a game are likely in a situation where they are panicking with the puck or don’t know where they should move or where their support is. This awareness is difficult to develop in games when players are under pressure and should be an area of focus during practice to allow players to learn before having to apply the skills. Individual skills and concepts with the puck can be worked on and developed in practice to allow players to have more success in games. The best part of practice is that players can dedicate time on things they need to work on. In practice, players get more time with the puck and drills can be set up to allow players to work on receiving passes and supporting the puck. Coaches can also design drills to teach timing and spacing and team systems such as offensive zone entries. Players can be free to learn, which means making mistakes and being corrected by coaches. Players should complete enough repetitions of a drill in practice in order to develop confidence in the skill or concept that is being worked on. The goal in practice should be to build enough confidence in each player’s individual skills, that the skills start to show up in games. Shooting is an example of an individual skill that needs to be developed in practice, as many players will go through a single game without taking a shot on goal. Effective shooting practice can allow players to work on basics including mechanics, velocity, and accuracy, as well as build more advanced concepts like quick release shooting and shooting in stride. Players who have confidence in their shooting from practice will be the ones who shoot more in games. As each player gets better in practice, the overall level of the team goes up in games! Practice should be a time where players come to the rink with one goal in mind: to get better. This is where they can address the skills and concepts they need to work on and learn about game situations before those situations actually happen in games. Coaches have the opportunity to spend more time talking to players and providing feedback without the pressure of the game and players will be excited and energized when they see their own development taking place. And that’s the best part of my job as a skills coach; hearing about a player’s success from using a skill in a game that we spent time on in practice. There are many benefits to strength training when it comes to athletics. The one that is probably the most celebrated in sport is the increase in performance. The development of more strength, speed, and power is usually the most recognizable benefit of getting into the gym and lifting weights. But if an athlete can’t stay healthy and is always out of the lineup, does it really matter how fast or powerful he/she is? With the second half of the regular season upon us and playoffs approaching, it is vital that teams have all their players in the lineup if they are hoping for a deep run. It is no coincidence that over the last nine years, the Stanley Cup has been won on seven occasions by a team that has been in the top two in the NHL in the statistical category of fewest man-games lost due to injury. The only team to break that trend was the Pittsburgh Penguins (2016 and 2017). So, I guess when you have Sidney Crosby and Evgeni Malkin on your team you can find ways to beat the odds. For the rest of us, the question is how do you keep yourself healthy in order to stay in the lineup and play your best hockey when it really counts? Easy answer: you strength train. Strength training is the most proactive thing we can do to reduce injury. Most other treatment modalities are reactive, meaning they are used once an injury has already occurred. This helps reduce man games lost by getting players back onto the ice as soon as possible, which is very important. However, not being out of the lineup in the first place is even better. In a physical game like hockey, some injuries are inevitable. But many injuries can be greatly reduced through consistent strength training. Hockey is a high-frequency sport, meaning players are on the ice a lot and there is plenty of repetition. This causes muscular imbalances and leads to movement restrictions that in turn put an athlete in a position where they are more likely to sustain soft tissue injuries like muscle pulls and strains. Strength training corrects these muscular imbalances. While there is no guarantee that stepping in front of a frozen puck to block a shot is not going to hurt, strength training is the number one thing we can do to increase bone density. This can mean the difference between a bruise or a fracture. So, while we all want to be bigger, stronger, and faster, a case can be made that the biggest advantage of strength training during the season is that it will simply help to keep you on the ice doing what you do best – playing hockey.